Midwest Auto Services - Check Our Tire Prices! so I could review at home. Easy!" You get so much more than a great tire price from us. 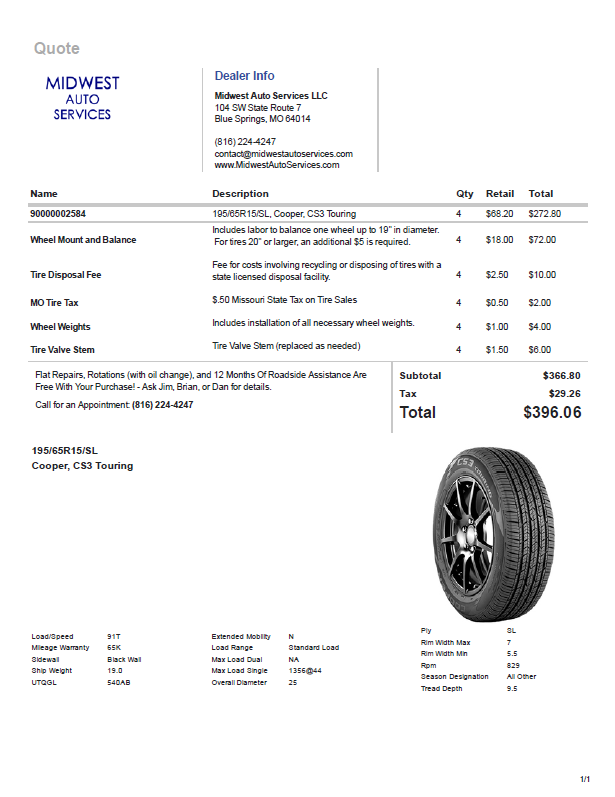 We start with written quotes that have details about the tire you're shopping for (and in many cases, several quotes for you to compare) and include the cost of the tire, installation, taxes, and disposal fees. From time to time, we also offer rebates to save you money and help you submit them. We also include free tire rotations and flat repairs for life when you purchase a full set! We recommend tire rotations about every 3rd oil change or 10,000 miles to keep tire wear even and extend tire life. We offer a special price of $15 when purchased with another service, discounted from our $21 everyday price. Tire balancing is $55 for a complete set and includes a rotation. We perform DOT approved tire repairs that utilize a patch-plug system. 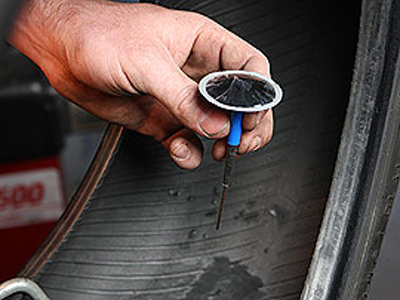 This device is mounted from the inside of the tire to seal the puncture with a patch and includes a rubber plug to fill the void left from nails, screws, or other punctures. Tire rebalancing is included. Not all tires can be repaired. We're happy to inspect your tire free of charge to advise if a safe repair can be conducted.